This state of Meghalaya, India. In the mountains of East Khasi Mosinrem is the town known as the rainiest place in the world. Annual rainfall is more than 11 870 mm. People who work outdoors, often wear unusual huge umbrellas that cover the entire body and made of bamboo and banana leaves. 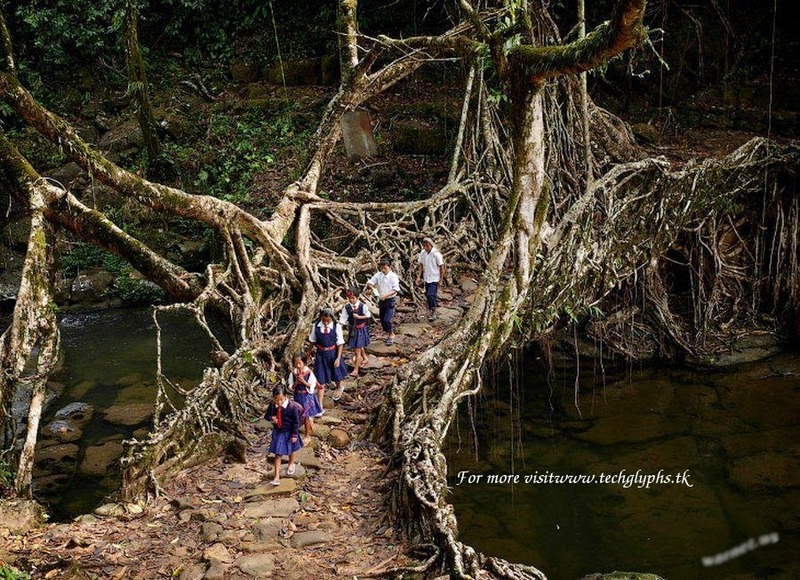 One of the most interesting and beautiful features in the region are "living bridges" from rubber trees, which, unlike conventional bridges, over time, due to the development of the root systems are becoming stronger and stronger.